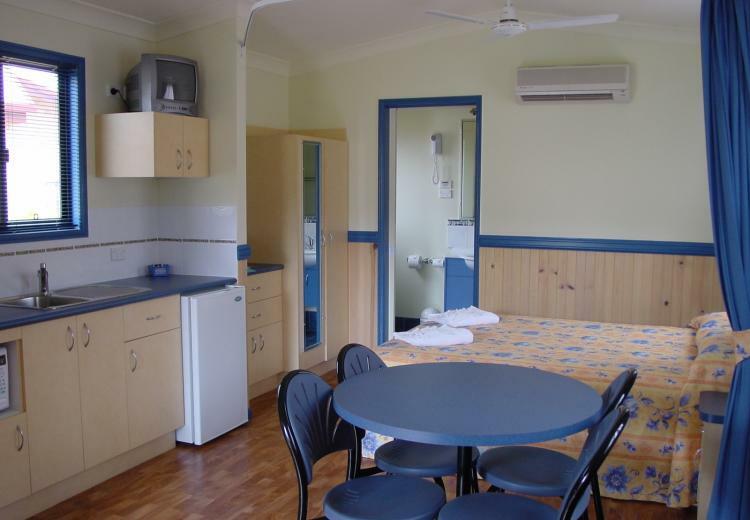 Tropical Ensuite Cabins are situated closest to the Kidz Adventureland, the day/night tennis court or the jumping pillows and SPLASH waterpark. These tastefully appointed cabins are ideal for couples or young families. The open plan living with comfortable queen bed is separated from the living area by a privacy curtain, plus full size bunks with a pull out mattress. Modern ensuite with roomy shower, toilet and vanity. All linen and bath towels included. Facilities include microwave, hotplates, jug, toaster, electric frying pan, fridge, split system air-conditioning and colour TV. Spacious patio and adjacent parking. 36sq meters.